When Ronaldo made his debut for Manchester United in the hot summer of 2003, few could have imagined that he would turn out to be the player he is today. Certainly one of the most well-rounded players in the history of the game, life hasn't always been easy for the Madeira-born phenomenon. His humble origins and the incessant struggle he went through during his childhood shaped the man most of us admire these days. Now at the age of 30, Ronaldo has rightfully earned the legendary status in both United and Real Madrid, but he could also be on the verge of accepting a new challenge in his football career. Do you dare to bet on where he is going to move next? Cristiano Ronaldo dos Santos Aveiro was born on the February 5 of 1985, on the island of Madeira. Today, the island is a popular holiday destination, however there was widespread poverty in the island thirty years ago. As a child growing up, Cristiano didn't have much as his parents struggled to put food on the table. Football had become an obsession to the youngster. Ronaldo's first club was local side FC Andorinha and if he wasn't training with them, he would be playing football in the street. The sport had begun to take over the youngster's life. 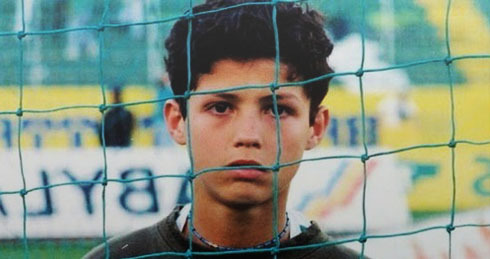 By the tender age of ten, Ronaldo was widely known by every club on the small island, as his talent had already begun to sparkle. Ronaldo would go on to join Nacional, as every club fought for his services as a youngster. At the age of just eleven, Ronaldo made the hardest decision of his life, ultimately a decision that would change his life forever. The Portuguese talent decided to leave Madeira. With his mother's blessing, Cristiano set off for mainland Portugal for a trial with Sporting Lisbon. Leaving his home and family at such a young age, a scared child arrived at Sporting's academy to be greeted by Aurélio Pereira (Sporting Youth Academy Director). Pereira helped a young Ronaldo adjust to life in Lisbon, as most of the other youngsters at the academy were fourteen and fifteen years old. Sporting had to be sure as they would have to pay Nacional around £25,000 for the youngster. The club took the gamble on the young starlet. Pereira described it in the following manner: "On day one of his trials, he stood up and made all the coaches take note of what he could do." The homesick youngster spoke to his mother every day as he struggled with life away from his family. Ronaldo was the first player in Sporting's history to play for the under 16's, under 18's, reserve and first team in the same season. The winger scored two goals on his first term debut! The summer of 2003 would change the life of the young Portuguese star forever. The whispers had started to do the rounds about the Sporting youngster, as Europe's top clubs flocked to Lisbon to see what all the fuss was about. Arsenal thought they had a deal in place but that fell through. Sporting had a brand new stadium (Estádio José Alvalade) and Manchester United had been booked to open it. Cristiano Ronaldo stole the show that night, with the 18-year old giving the Manchester Utd backline the run around. So much that Sir Alex Ferguson instead of giving the half time team talk, went straight up stairs to meet with then Chief Executive David Gill. Ferguson's first words to Gill were: "We aren't leaving tonight until that boy is with us." The whole of the second half unaware to anyone playing, Gill was frantically negotiating a deal with Sporting Lisbon, Jorge Mendes (agent) and Ronaldo's mother. After the match, Ryan Giggs described it as "a moment I’ll never forget" when asked about Ronaldo's performance that night. Man United had agreed a £12 million deal for the Portuguese star of the future, but the Red Devils left for home without Ronaldo, as the deal was kept secret for twelve hours. The next morning, Cristiano flew to Manchester by private jet to complete the formalities and have a medical. Later that afternoon, Manchester United broke the news to the world's media about the deal. For one so young, Cristiano Ronaldo was given something very privileged, the hallowed number 7 shirt. Manchester United greats such as George Best, Bryan Robson, Eric Cantona and David Beckham had worn that number. In his first interview, Ronaldo had revealed: "After I joined, the manager asked me what number I'd like. I said 28. But Ferguson said 'No, you're going to have No. 7,' and the famous shirt was an extra source of motivation. I was forced to live up to such an honour." Ronaldo made his Manchester United debut as a second half substitute against Bolton and in only half an hour he had electrified Old Trafford. Sir Alex hailed his debut as "marvellous". The United fans would have to wait until November to see Ronaldo's first goals, as he netted in a 3-0 win over Portsmouth. The winger would go on to find the back of the net 8 times in his first season at Old Trafford, including the opening goal in the FA Cup final as Manchester United beat Millwall 3-0 in Cardiff. Still a teenager and far from the finished product, Ronaldo was putting in the hard graft to improve his game, spending extra hours on the training pitch. During his first two seasons there had been some criticism aimed at the youngster, his decision making needed to improve, as he found himself shooting, when he should be passing and passing when he should be shooting. Ronaldo was now being talked about as one of the Premier League's best players. It was the 2006/07 season where he propelled himself to stardom, scoring 23 goals. The world was starting to sit up and take notice and the 07/08 season would be one that Cristiano would never forget. A lot of people were saying that he wouldn't be able to reproduce his form from the previous season. Sir Alex Ferguson had arguably the best United team since 1999, his front three of Ronaldo, Rooney and Tevez were blowing teams away. 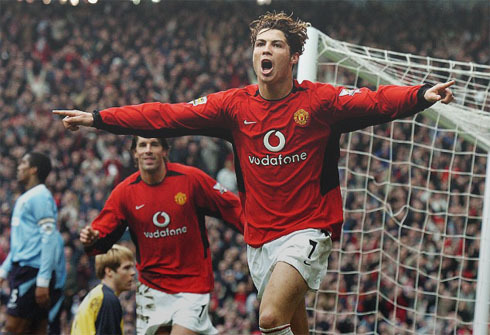 Manchester United raced to the Premier League title that season and Cristiano was the Premier League top goal scorer. He was also the Champions League top marksmen. World football was in awe of Ronaldo and his goals had fired United into the biggest game in club football. Manchester United would face Chelsea in Moscow, in the Champions League final. Ronaldo put United in front on their way to winning the holy grail of club football. That season, Cristiano was the Premier League top goal scorer and Champions League top scorer with a combined 42 goals in a season. The world had taken notice as for the first time he was crowned the best player on the planet winning the FIFA Ballon d’Or. This was the ultimate personal achievement for Ronaldo, as it had always been his dream to be the best in the world. The summer of 2008 was like a rollercoaster for Cristiano. Portugal manager Carlos Queiroz named Ronaldo the new national team captain, as his record breaking season hadn't gone unnoticed. 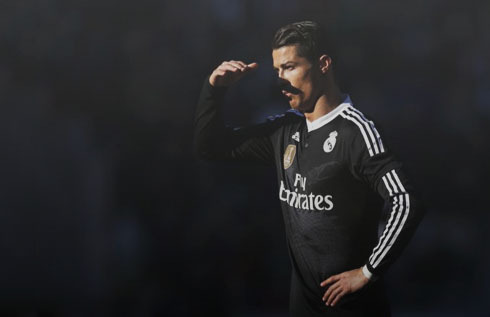 Real Madrid now had their next "galactico" in their sights, as they tried to bring Ronaldo to Spain. The superstar decided to stay at United. The contributing factor had been United manager Sir Alex Ferguson, his bond and relationship with Cristiano was like none other. They were like father and son following the death of Ronaldo's father, Sir Alex had been his rock during those troubled times. It was widely speculated that Cristiano promised Sir Alex one more season, on the understanding that if Real Madrid came back next summer, he would be allowed to leave with his father figure's blessing. The 08/09 season was business as normal at Old Trafford, as Ronaldo's goals fired Manchester United to their third straight title. His goals had helped United reach a second consecutive Champions League final. In the final, they would meet Barcelona and old foe Lionel Messi! Barcelona took United's crown winning the final 2-0 and in addition Messi took the FIFA Ballon d’Or from Ronaldo. As expected, Real Madrid came knocking again in the summer of 2009 and a World Record transfer fee was agreed, with the Merengues offering 80 million pounds. As speculated, Sir Alex agreed to let his star asset leave for the Spanish capital. The hype around this transfer was like none other, as the world's media descended on Madrid for the unveiling of the world's most expensive player. Although Ronaldo loved the number 7 shirt, in his first season for Madrid he would have to wear the number 9. This was due to Real Madrid legend and captain Raúl still playing. It would only be for one season, as Raúl would leave the next summer. His first season in Spain ended trophyless and the only thing to show was his 33 goal tally in 35 games. The 2011/12 season saw Ronaldo win his first La Liga title under José Mourinho. Ronaldo scored a staggering 60 goals that season. His defining moment of the season was when he scored the winner at the Camp Nou, as Real Madrid beat bitter rivals Barcelona 2-1 in their own back yard, to hand the Merengues the title. The Portuguese superstar would have to wait till the 2013/14 season to taste glory again. Under Carlo Ancelotti, Real Madrid won their 10th Champions League crown beating city rivals Atletico. Back in Lisbon where it all began for Ronaldo, he scored one of Real's four goals. He was also back on top of the world as he finally wrestled back the FIFA Ballon d’Or off of Leo Messi. Ronaldo again broke the 50-goal mark, netting 51 goals that season. Only the Uefa Super Cup and FIFA Club World Cup were added to the trophy cabinet, but Ronaldo did retain his FIFA Ballon d’Or crown to win the prestigious award for the third time. 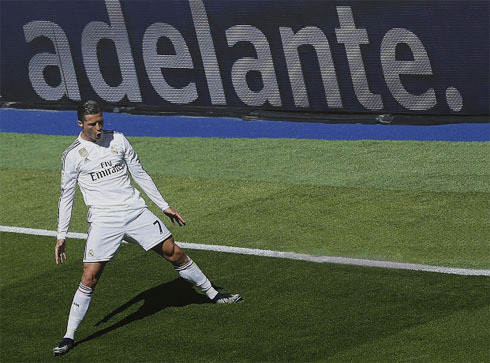 The personal milestones continued for the Real Madrid star, as he became the club's all-time top goal scorer, Ronaldo has netted a breath-taking 326 goals in just 313 appearances! The personal rivalry between Cristiano Ronaldo and Lionel Messi is one that everyone has enjoyed and has an opinion on. The pair have gone head to head over the last seven years, with either one or the other winning the FIFA Ballon d’Or and the other finishing second. As football fans, we are privileged to have two unbelievable stars playing alongside each other. It's been widely reported that the pair don't like each other and although they may not be the best of friends, they have the upmost respect for each other as players. 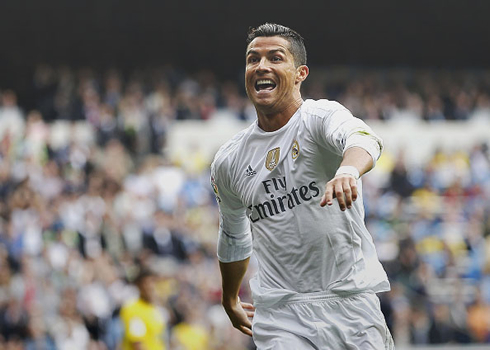 With the clock ticking, there has been much speculation as to where Cristiano may move next. He has often made reference to wanting to retire at Real Madrid, but for the first time there have been rumors that Madrid may let their star go at the end of the season to make way for younger blood. If he were to leave, there would be a host of clubs queuing up to take him. Manchester United have always expressed an interest to take him back to Old Trafford, while Ronaldo often makes reference to the special relationship he has with the United fans. When he returned to Old Trafford with Real Madrid he scored to end United's Champions League hopes and refused to celebrate. At the full time whistle, Ronaldo was reduced to tears by the ovation he was given by the Manchester United fans, further strengthening their bond. French giants PSG have always expressed their desire to take the World's best player to France too and the "Parisiens" also have the financial resources to be able to afford to bring in Ronaldo's class. Chelsea and Manchester City have also been talked about, but it would be hard to see Ronaldo playing against Manchester United for another English club. The outside option and somewhat of a fairytale, would be a return to where it all began at Sporting Lisbon. Cristiano has always said he would like to thank Sporting for all they did for him and this would be the perfect gift. 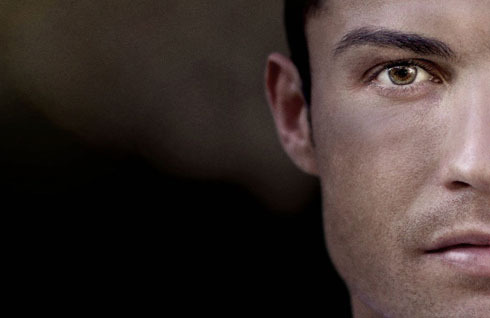 Despite being a superstar footballer, Cristiano Ronaldo does a wealth of charity work. Following the tragic tsunami in the Indian Ocean in 2004, television coverage showed an 8-year old boy who had survived 19 days after his family were killed. Martunis was wearing a Portugal shirt with the number 7 on the back. Following this, Ronaldo visited Aceh in Indonesia and agreed to sponsor the young man's education. Martunis was flown to Portugal to start his new life and just like his hero, has just signed for Sporting Lisbon. 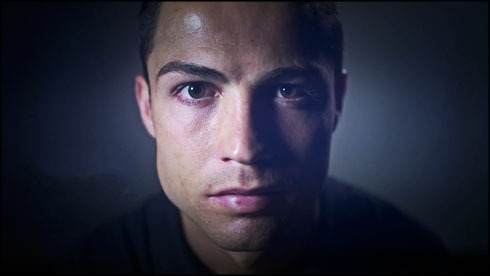 Ronaldo is also a global ambassador for Save the Children and Unicef. In 2008, the superstar accepted undisclosed damages from a libel case against The Sun newspaper and donated the damages to a charity in Madeira. In 2009, Cristiano donated £100,000 to the hospital that saved his mother's life, following her battle with cancer so they could build a cancer centre on the island. At club level, Cristiano Ronaldo has won everything there is to be won. His stats are up there with the very best we have ever seen. So far to date, he has scored 449 goals in 636 appearances for Sporting Lisbon, Manchester United and Real Madrid. These stats will only get better as he still has many years left at the top. Cristiano Ronaldo will go down as one of the all-time greats of the sport. Cristiano Ronaldo next game will be for Real Madrid on the 8th of November of 2015, against Sevilla. You can watch Juventus live stream, Sevilla vs Real Madrid, Barcelona vs Villarreal, Manchester United vs WBA, Stoke City vs Chelsea, and Bournemouth vs Newcastle, all matches delivered in our soccer live game pages.